Water and moisture don’t belong in your basement or under your home. Without a reliable basement waterproofing system, water can make dramatic appearances in your basement or worm its way into your home as moisture that accumulates underneath your floor. Unfortunately, this is a constant concern for many homeowners in Middle Tennessee and Southern Kentucky given the humid climate. To keep water out of your home’s lower levels and protect it from more serious damage, turn to basement waterproofing or crawl space encapsulation, depending on how your home was built. The team of experienced professionals at United Structural Systems offers exceptional basement waterproofing and crawl space encapsulation services. United Structural Systems has been waterproofing basements since 1994, and all of our basement waterproofing technicians uphold our company values of honesty and integrity, so they’ll never try to sell you a product or service you don’t need. 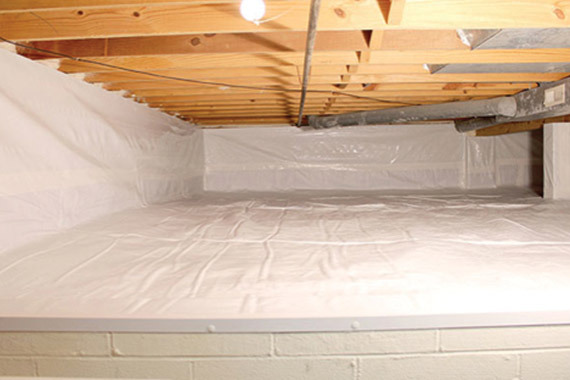 Basements can be waterproofed with either an interior or exterior drain system. An interior drain system collects water that gets into your basement and removes it. 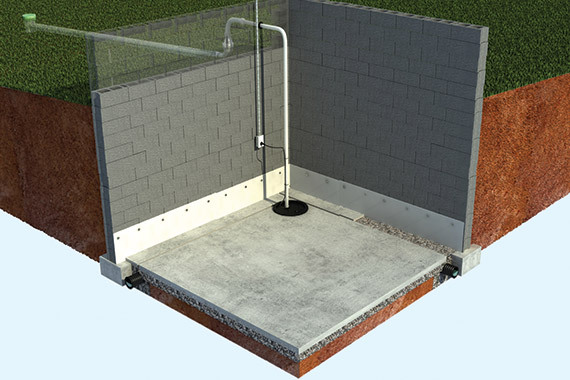 An exterior drain system keeps your basement dry by directing groundwater away from your home. Which basement waterproofing method is best for your situation will ultimately depend on the size and type of basement you have, as well as the lay of your property. We’ll work with you to find the best and most cost-effective method. If your home doesn’t have a true basement, it will have a crawl space — a small basement with a dirt floor that is open to the elements. Hot and humid, a crawl space can cause energy inefficiency and breed mold and rot. Crawl space encapsulation is a cost-effective technique that seals off your crawl space and turns it into a dry, controlled environment, eliminating the conditions that allow mold and rot to thrive and making for a healthier, more energy-efficient home.